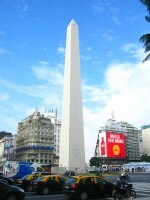 Ferr Class – Bazar, Ferretería, etc. Recently we discovered Ferr Class while we were walking down Calle Pacheco de Melo. He has a mix of cooking and kitchen equipment, tools and hardware and cleaning supplies. Ferr Class also has some Bahco wrenches and sockets , some cast iron products, steel frying pans, glass jars and glasses that are all manufactured in Argentina. We bought some clay bowls and a level that are all made in Argentina. It is a pretty neat store, the owner is pretty nice, and he has it all! Caminábamos por Pacheco de Melo hace unos dias y descubrimos a Ferr Class. This entry was posted in cooking equipment, tools/hardware and tagged Argentina, bazar, Buenos Aires, bulones, C.A.B.A, Capital Federal, electrical, fasteners, hardware, herrajes, herramientas, Industria Argentina, Made In Argentina, Palermo, plumbing, sanitarios, tools, tornillos on June 29, 2014 by ayresinsider. 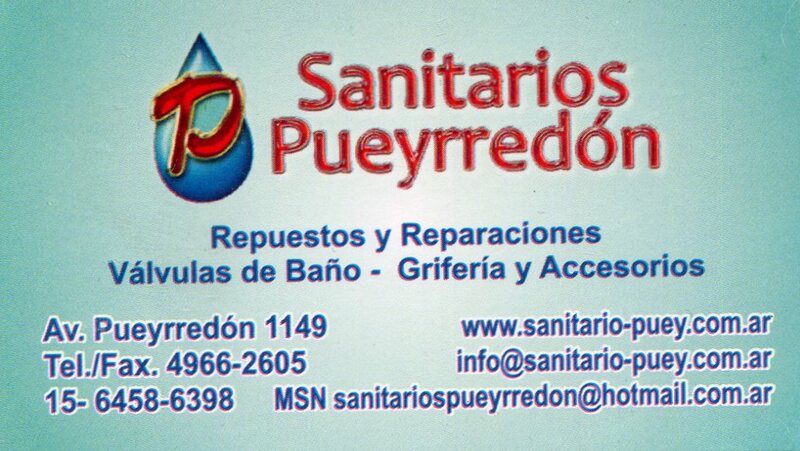 Sanitarios Pueyrredon are the guys that you want to call if you have a problem with either your toilet valve or plunger. They are punctual, polite, and well priced. They are professionals. Sanitarios Pueyrredon son los muchachos que Ud. quiere llamar si tiene problemas con cualquier typo de valvulas de inodoro. Son puntuales, educados, y tienen muy buenos precios. Son profesionales. This entry was posted in services, specialty stores and tagged accesorios de banos, Argentina, Buenos Aires, C.A.B.A, Capital Federal, inodoros, sanitarios, service for toilet valves on June 5, 2014 by ayresinsider.